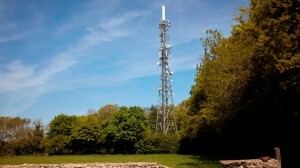 Arqiva has announced plans to postpone its initial public offering, citing “IPO market uncertainty”. The UK broadcast infrastructure firm said in a statement that pursing a listing at this time is “not in the interests of the company and its stakeholders”. However it said it would “revisit the listing” once IPO conditions improve. Arqiva announced plans to float on the London Stock Exchange last month. At the time it said it aimed to raise an estimated £1.5 billion (€1.7 billion) through the IPO, which could have made it one of the year’s biggest London stock market debuts. The IPO plan came after Arqiva reportedly failed to find a buyer for the company and the offer would have been used to reduce outstanding debt.